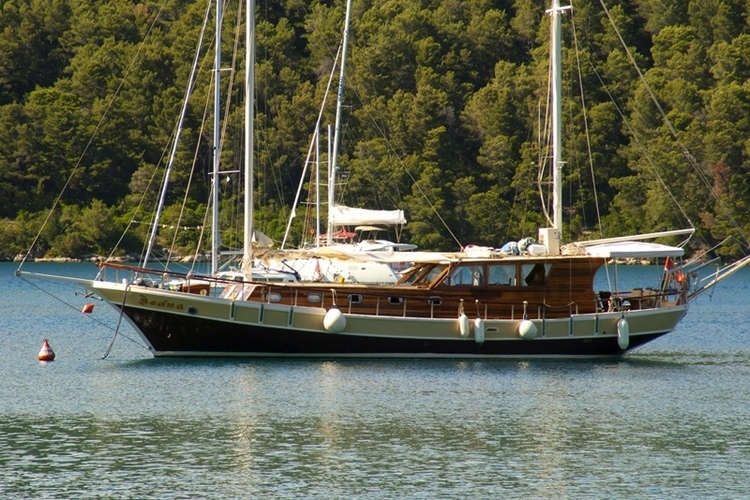 Gulet Sedna is a charming gulet built to provide outstanding cruising experience for smaller groups or family vacation. Sedna is very nice gulet where pecial attention has been carefully paid to each and every small detail. 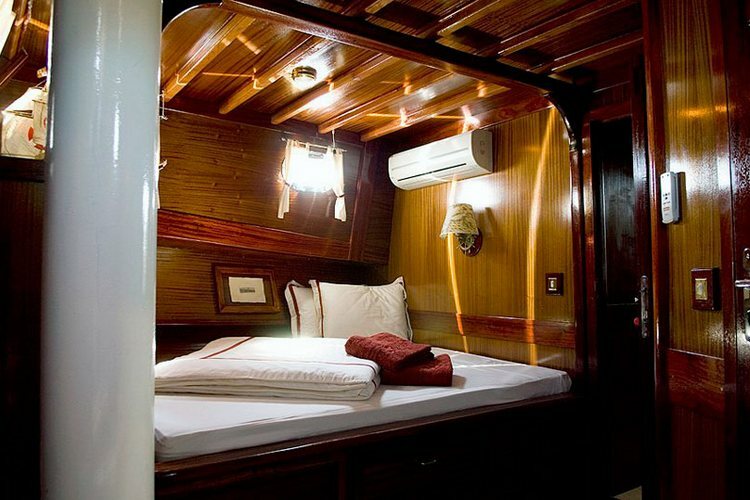 This gulet is 22 meters long and 5,7 meters wide offering the most comfortable cruising experience. 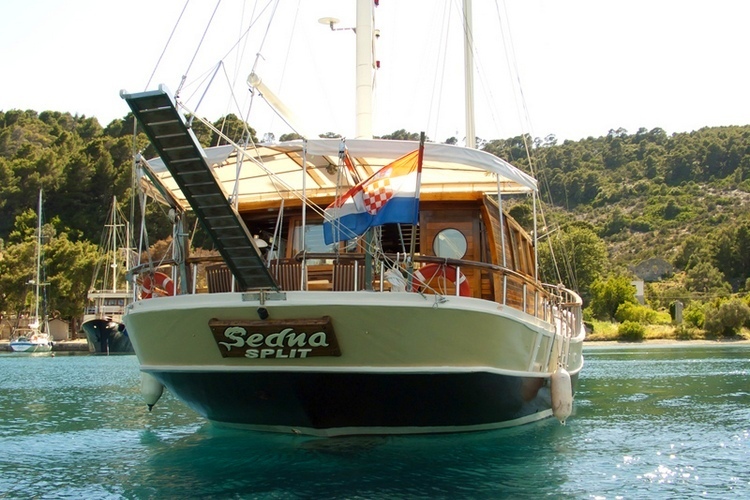 Gulet Sedna is available for crewed rental in Croatia! 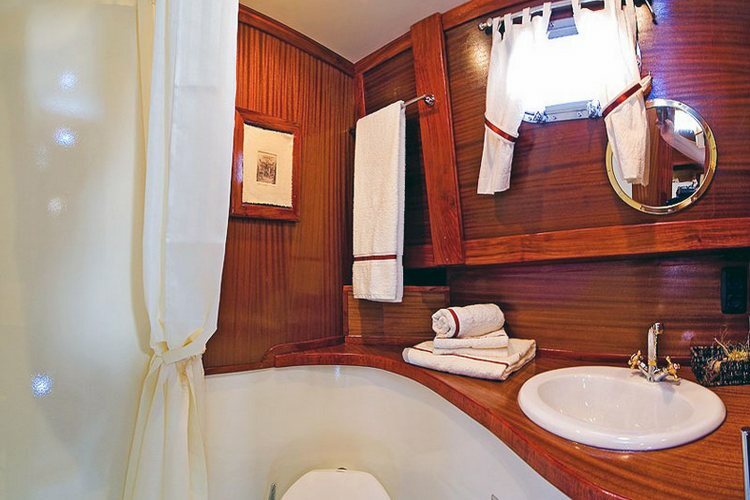 Sedna has 3 guest cabins and can comfortably accommodate up to 10 persons. 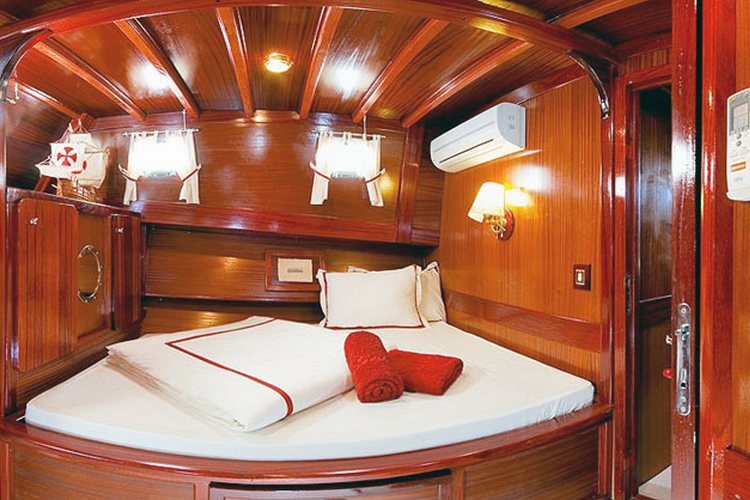 All cabins are equipped with double bed where two side cabins are of the same size while the stern cabin is the bigest and the most comfortable and has 1 double bed and one additional berth suitable for a child. All the cabins have private toilette with a shower and are air conditioned. 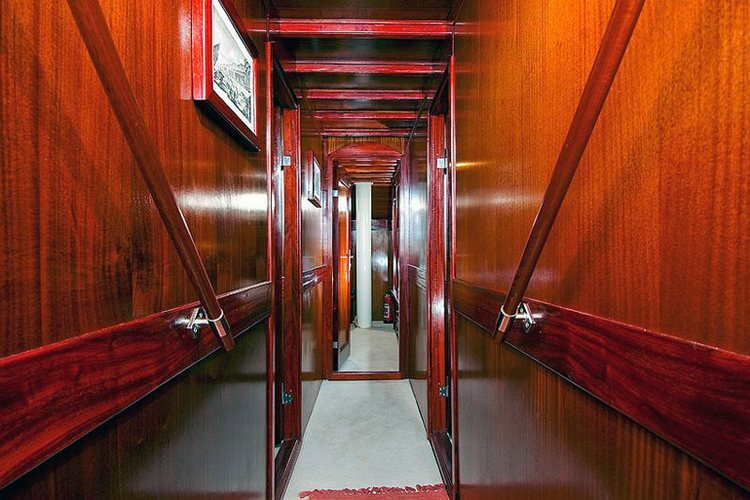 The saloon of the gulet Sedna is elegantly furnished in mahagony wood providing warm and charming atmosphere. 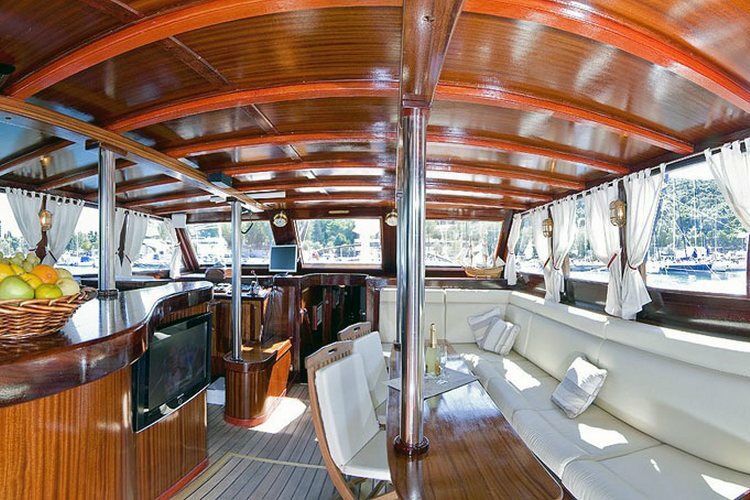 Sedna’s saloon consist of kitchen, yacht’s bar and large white sofa with dining table for up to 10 persons. There is a wide screen LCD TV, DVD, Stereo, CD, Mp3 on guest’s disposal. WI Fi is also on guest’s disposal. 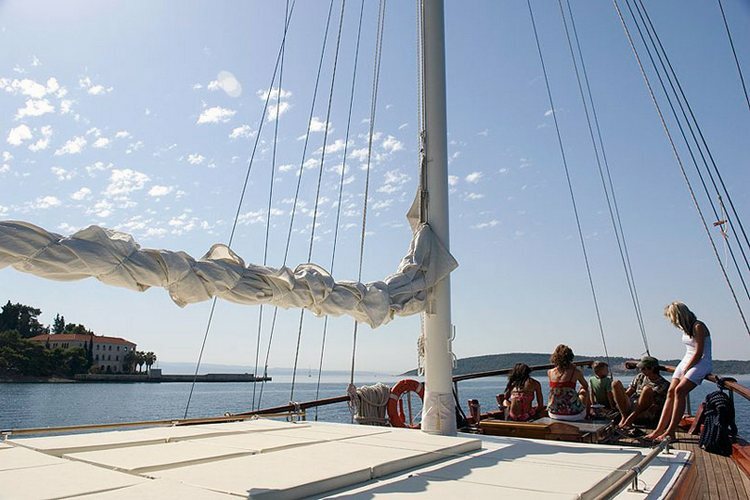 The exterior of the gulet Sedna is carefully equipped to provide the perfect cruising experience! 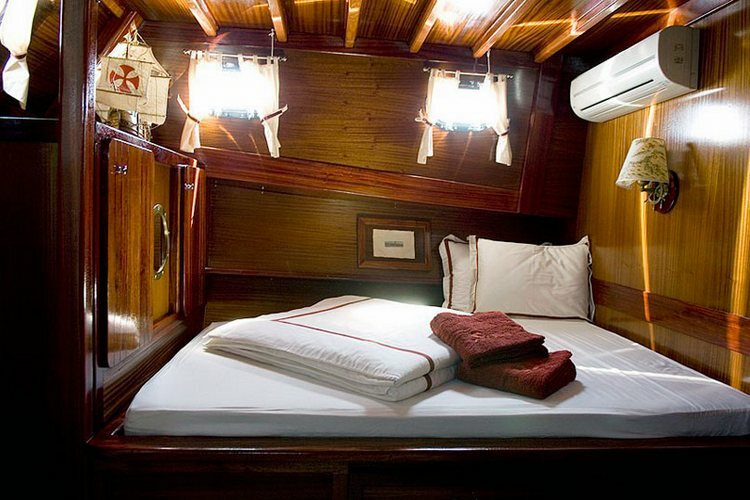 Fore deck is meant for relaxation offering mattresses covered with soft cushions so the guest can enjoy fully while sun bathing. 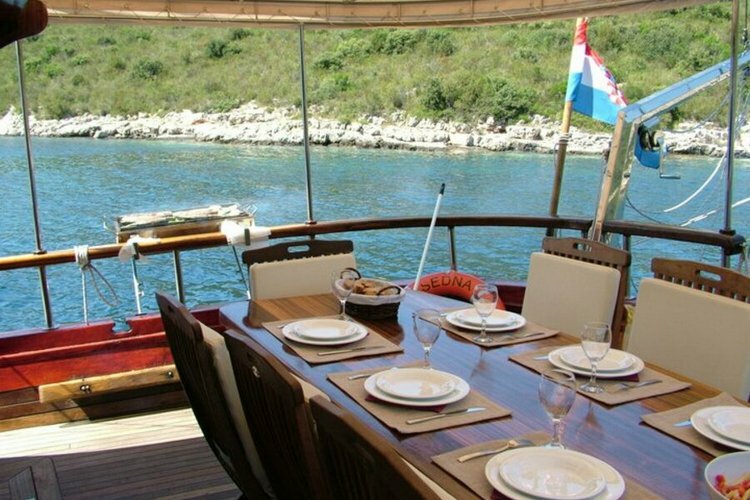 The stern deck offers the dining table for up to 10 persons and cushioned chairs. 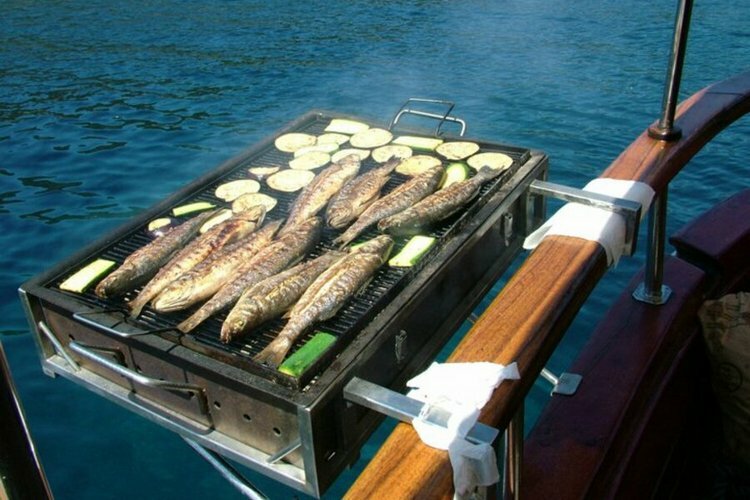 There is also an installed barbecue at stern so no doubt that guest will be able to taste all kind of domestic specialties. 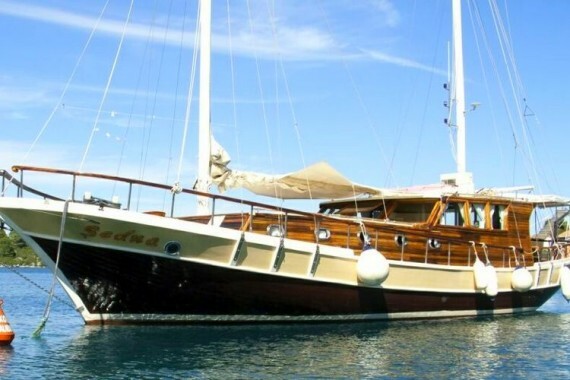 Gulet Sedna is available for charter only fully crewed meaning that 3 professional crew members will be on guest’s disposal on board this lovely gulet. 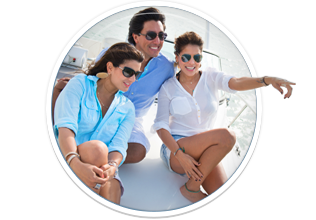 The crew consisting of captain, cook and a hostess will give their best to make a guest’s holidays into an experience of a lifetime. All kind of recreational activities are possible including tender with 80 hp outboard engine, Water ski, Wake board, 2 Canoes and Snorkeling equipment. Full board food option is not available! Alcoholic drinks as per bar price list! Children to 2 years free of charge. 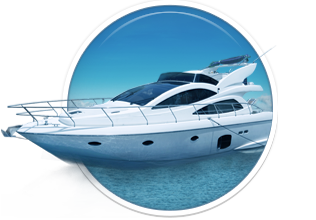 Food, beverages, port & marina fees, more than 4 hours of cruising per day (each hour is extra charged), more than 5 hours of generator per day, entrance to National parks, one way cruise Split-Dubrovnik 1000 Eur fee; extra use of tender. 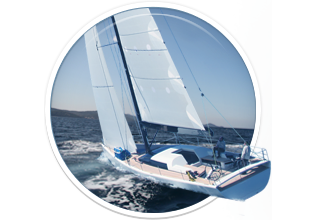 Here you can find basic information about Gulet Sedna. 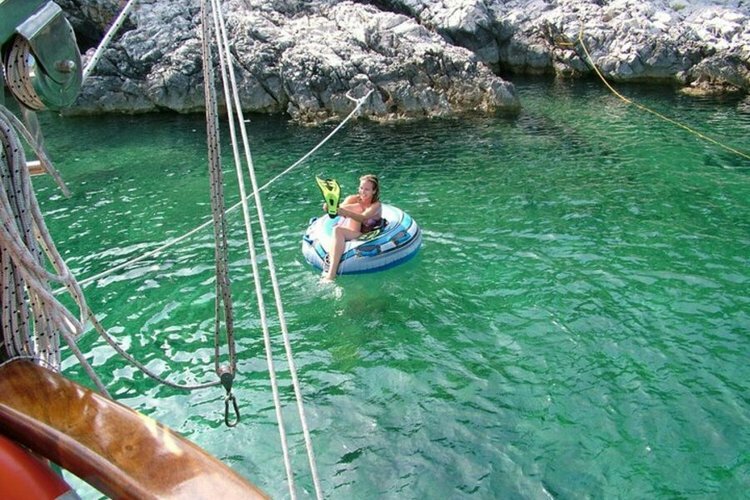 Other specifications, can vary from boat to boat, therefore we recommend to search for particular Gulet Sedna from our database, in the destinations of your preference.